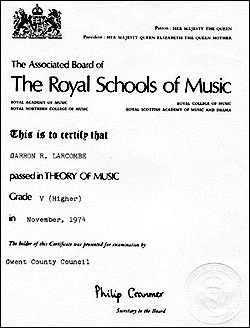 Garron R. Larcombe Certified Piano Tuner/Technician, 30 years experience - Los Angeles, CA. 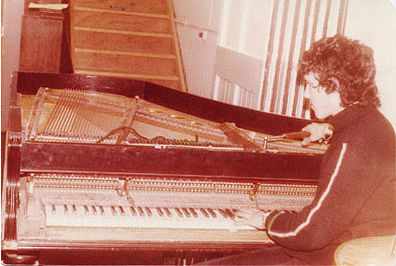 practicing tuning a piano (Wales circa. 1979). a full member has to prove that they have been in business for over 5 years. 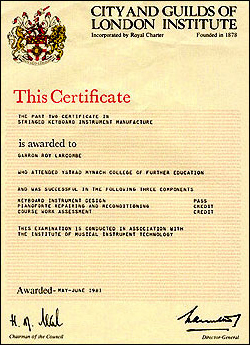 examinations in Tuning and Repairing Pianos. 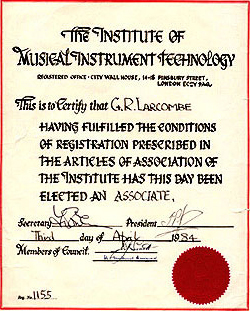 This certificate I received for Grade V (Higher), in "Theory Of Music".